Osaka Stock Exchange (大阪株式取引所). It was orginally located elsewhere, but moved to Kitamaha in 1894 (Meiji 27). Construction started immediately, but because new extensions were added continuously, it wasn’t completed until 1911 (Meiji 44). 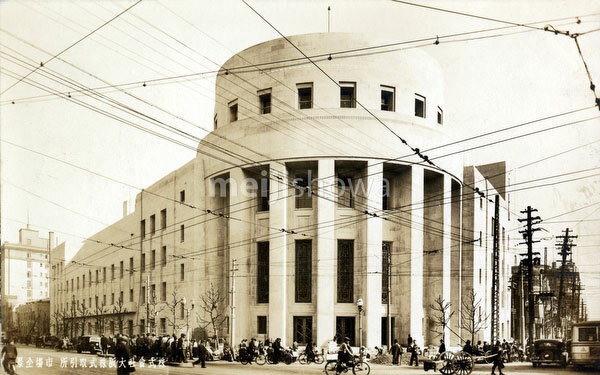 That building was replaced by the building in this image in 1935 (Showa 10). This was torn down, too, but its iconic circular entrance still stands today.